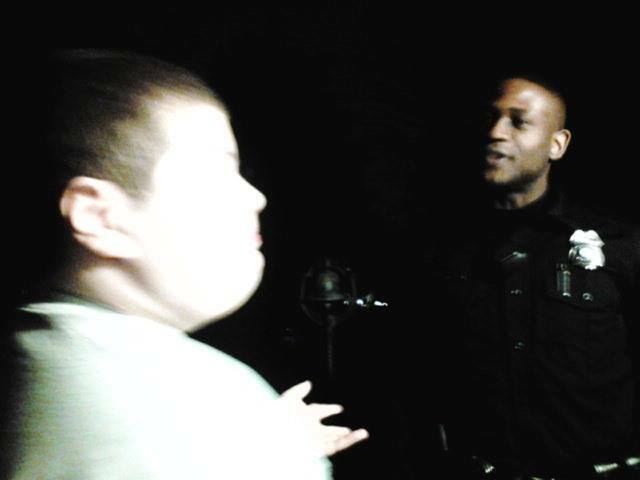 ©Videostill WIPX - The autistic Ryan is happy to see his hero agent Manzini again. An agent has come to the rescue of an autistic boy in New Jersey, US, when he called the emergency number to report his missing teddy bear. Although it soon became clear that there was no emergency, Agent Khari Manzini went for it. 12-year-old Ryan Paul was playing in his room when he could no longer find his beloved bear. Instead of asking his parents for help, the autistic boy called emergency number 911. “My teddy bear has fallen. I have to save him,” he told the emergency room. Then he hooked up, according to local media. Just to be sure, the police called back and got father Robert on the phone. He soon realized that his son had made a superfluous report and explained that there was no question of an emergency. But, as the Woodbridge police prescribe, agents must always go to the scene if the emergency number was called by someone who hung up before the call was completed. That’s why Agent Khari Manzini arrived a few minutes later at the home of Paul’s family. Coincidentally, the agent had followed a training course on the correct handling of autistic people. So he knew exactly how he could reassure Ryan. “With this training, we not only learn to keep ourselves safe but also the people we help. It makes a big difference,” Manzini responded later. Father and son had a good conversation after the incident: Ryan now understands that a missing hug is no reason to call the emergency number.